Steve McCaffery has referred to sound poetry as a “practice of freedom,” and indeed, much sound poetry is visceral and bombastic, utilizing–even extending–the full range of the voice. Sound poets often attempt to employ every vocal and buccal sound, from the most subtle glottalic consonants to the most explosive screams. There was no tempered restraint in Marinetti’s Futurist poetry, nor was there any holding back in Henri Chopin’s deafening audiopoems. Gerhard Rühm’s poetry, however, is a much different case. His sound/concrete works often display an intentional withholding, a deliberately focused, disciplined practice of limitation and constraint. Most often, Rühm limits his material to just one or two items: a single vowel sound, two complementary phonemes, a single word. The results are poems which perhaps share more with minimalist sculpture than they do with most poetry. 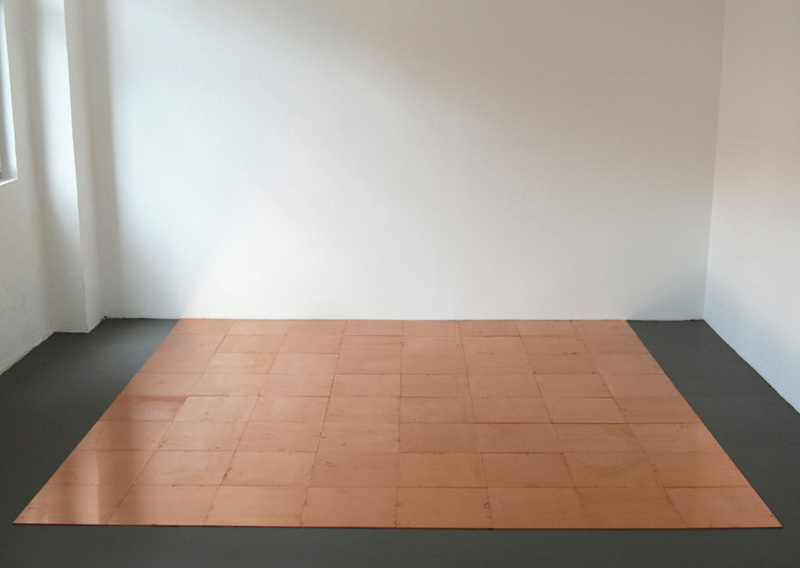 Like the monochromatic tile patterns of Carl Andre or Jo Baer’s empty wall boxes, Rühm’s poetry seems literally flat, so limited in material it seems practically empty. Take, for example, so lang wie möglich (1962). The poem requires the performer to simply sustain a single vowel (a) for “as long as possible” (the literal translation of the title), until the vocal cords are “completely dried up.” Or [ssssssssst] (1968), a concrete poem which consists of a small stream of “s”s gradually transforming into a smattering of “t”s. Both poems outline slow, almost purposeless transformations: from full sustained vowel to dried-up silent voice, from turbulent fricative to percussive stop, from barely something to almost nothing. But perhaps the best example of Rühm’s flat poetic surfaces can be found in sehr (ca. 1960). The poem consists simply of 330 repetitions of the word “very,” organized on the page in a rectangular grid. The typographic redundancy plays tricks on the eyes–when looking at the poem, one is forced to look through a disorienting screen of illusory diagonals to see the text. While much minimal sound art can take on a mantric quality, sehr maintains its flatness when read aloud. The abstract simplicity of the word “very” prevents it from taking the listener to the meditative depths of Terry Riley or Philip Glass’s music. Instead, one just gets a beautiful plane, a meaningless repetition of a devastatingly simple, unadorned utterance. This two-dimensional surface is violently disrupted, however, by the poem’s final word, “small.” The hundreds of non-directional repetitions are suddenly and immediately recontextualized, as the listener realizes that each of the previous “very”s was part of a specific description of size. The poem becomes retroactively directional, meticulously tracing a route from from moderately little to infinitesimally nanoscopic, each “very” implying another layer of minuteness. However, while disruptive, the final “small” only reinforces the poem’s flatness. Imagine how different the poem would seem if the last word were “large,” or “loud,” or “long.” Instead, the idea of slightness, of insignificance is underlined. sehr is a string of adjectives describing an adjective, a gradual mining of a depth that is so shallow, it might as well be just a surface.